My blog post ahead of my monograph’s impending publication! 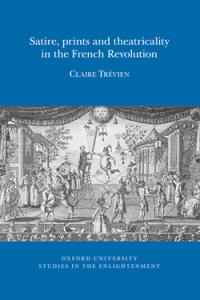 Researching prints of the French Revolution can sometimes feel like ghost-hunting. Unlike other forms of art, such as paintings, which are usually signed, the majority of etchings are authorless. Sometimes, sheer luck, or the right accumulation of clues, can lead you to an artist – a most satisfying conclusion. 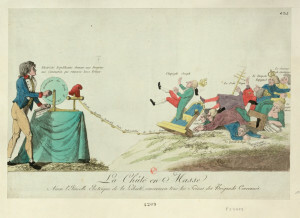 ‘Chûte en masse: ainsi l’étincelle electrique de la liberté, renversera tous les trônes des brigands couronnés’, by François Marie Isidore Queverdo (Stanford University Libraries). By Clairet in Uncategorized on September 29, 2016 .